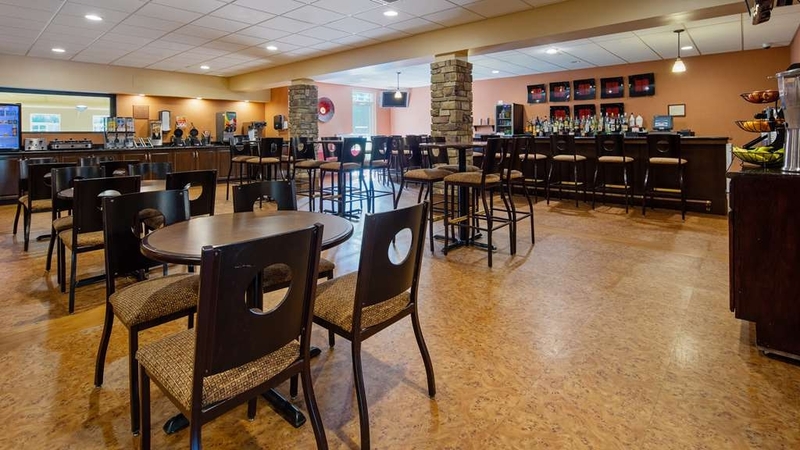 Il Best Western Crandon Inn & Suites è situato nel centro di Crandon. L'hotel è vicino alle principali attrazioni turistiche. Approfittate tutto l'anno del miglior prezzo garantito e di offerte esclusive. Soggiorna in questo hotel di Crandon, Wisconsin, situato vicino al casinò Northern Lights, alla Crandon City Beach e all'Ed's Lake Trail. 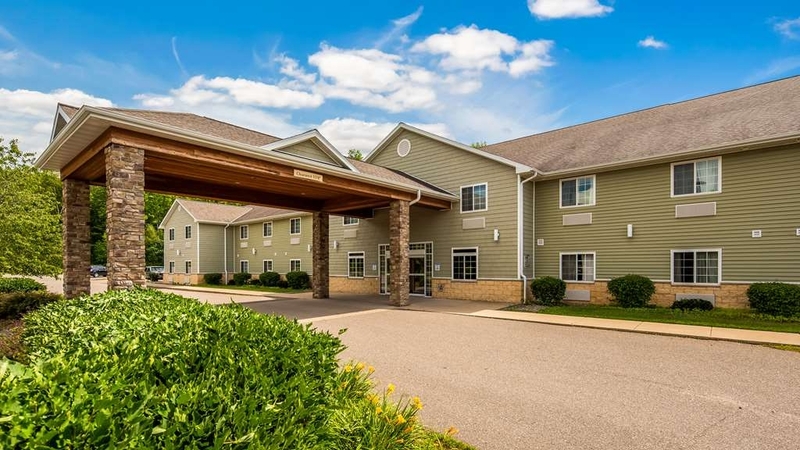 Benvenuto al Best Western® Crandon Inn & Suites, situato nei pressi dell'autostrada 8 direzione est a Crandon, Wisconsin. Questo hotel offre un comodo accesso a numerose attività all'aperto, tra cui pesca, caccia, escursioni in motoslitta, sci di fondo, mountain bike e nautica. 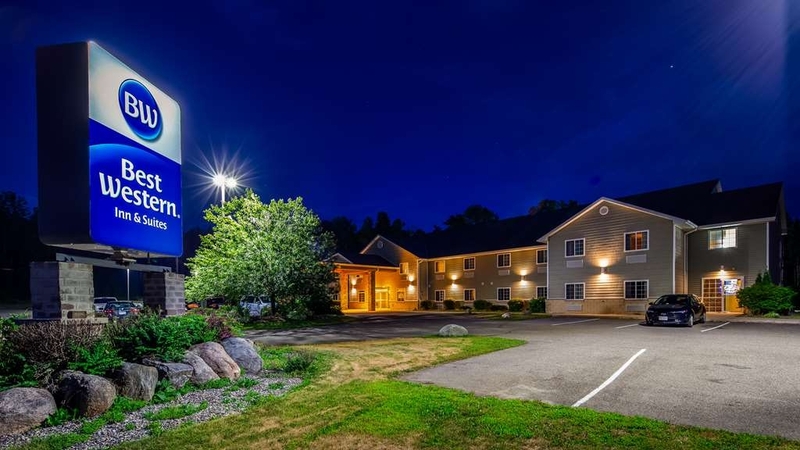 Il Best Western Crandon Inn & Suites offre 46 camere spaziose e arredate con gusto, tutte dotate di forno a microonde, frigorifero, TV via cavo/satellite con HBO® e accesso a Internet ad alta velocità. Ogni mattina gli ospiti potranno gustare una colazione completa gratuita. 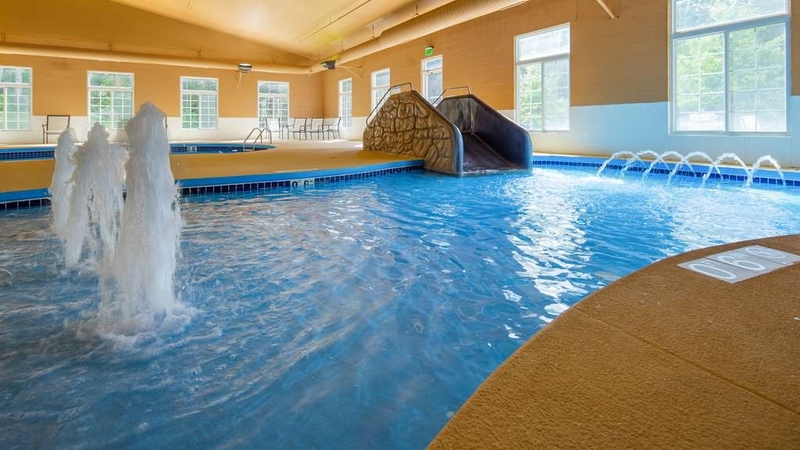 I servizi aggiuntivi di questo hotel del Wisconsin comprendono piscina e idromassaggio interni riscaldati, piscina per bambini, impianti sportivi, servizio di lavanderia, servizi business e strutture meeting in grado di ospitare fino a 90 persone. Gli ospiti che soggiornano in questo hotel apprezzeranno il fatto di essere vicini al circuito Crandon International Raceway, al Northern Lights Casino e a Camp 5, con il suo storico treno a vapore e il museo dei taglialegna. L'hotel si trova anche nei pressi di importanti eventi locali, tra cui Great Northern Biker Rally, Kentuck Days, Art in the Square, Barefoot Days e Brush Run. Se cerchi un servizio di qualità superiore e un'ottima posizione, prenota al Best Western Crandon Inn & Suites! Ti auguriamo un soggiorno gradevole! "Gem in the North Woods"
If you ever find yourself in this corner of Wisconsin, I highly recommend this hotel. Clean, microwave and refridgerator in room, great helpful staff. Eco consious with dispensers for soap and shampoo. Breakfast offerings were varied. Thank you for staying with us. We look forward to seeing you in the future. Your feedback is important to us. A welcoming refuge in winter. The hotel is modern, clean and spacious. 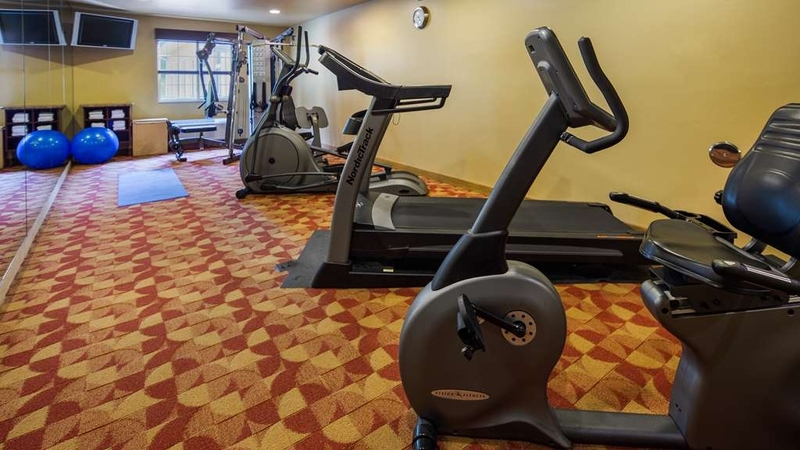 The pool area is excellent and the fitness room is well equipped and includes free weights. The receptionist had already researched the few restaurants that were open in the Crandon area in the quiet month of April. She provided accurate directions, too. Very helpful. Thank you for staying with us. We are happy to hear you enjoyed your stay with us. And Yes the kiddie is an asset for our hotel making it family oriented. We look forward to doing business with you in the future Thank you again for all the kind words. The owner is very conscientious about guest happiness. The staff were friendly and helpful. Rooms and lobby were very clean despite the heavy snowfall in February. Glad to find a quality hotel in such a remote location. Thank you for the kind words. We are happy to hear you enjoyed your stay with us and look forward to doing business with you in the future. Awesome hotel. Very clean and spacious rooms. I stay here because it is close to work for weather related travel. The pool area I have not used but looks very nice and clean. There is also hot breakfast in the AM, included! Was a great place for out snowmobile club to enjoy! Lobby is great for group gathering at the end of the day, breakfast was great. Trail access is perfect along railroad bed. Our club will be stay here again next year. 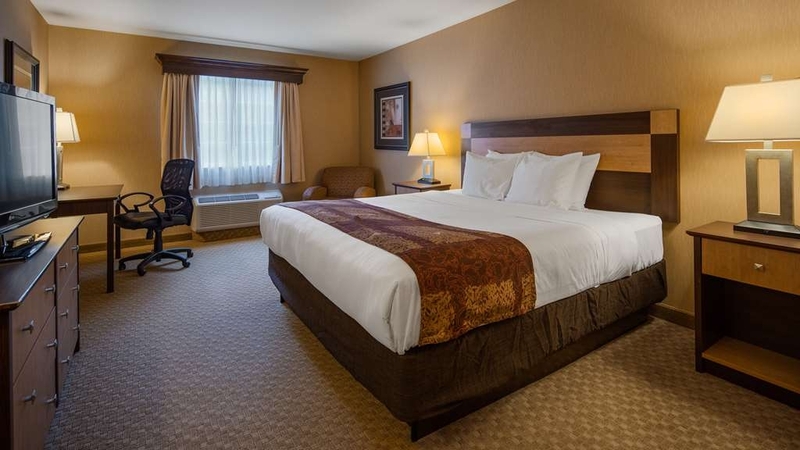 "Exactly the room we needed - 2 queen beds with accessibility - thanks, Crandon!" (**My husband uses a Permobil P3 motorized wheelchair, and we have two adventurous teenagers, so my posts tend to include details about accessibility, teenagers, and outdoor family pursuits.) In August of 2017 we visited the Crandon, WI area in order to take our kids on a whitewater rafting adventure on the Peshtigo River. We drove north from our home in southern Wisconsin, and drove straight to Kosir's Rapid Rafts. The boys and I took an amazing 3 hour trip down whitewater rapids in one-person inflatable rafts called funyaks. It was a fun, exhausting trip, and afterwards we definitely needed a place to crash and rest that was low maintenance. The Best Western in Crandon was therefore EXACTLY what we needed. The room was clean, quiet, and the perfect location just outside of town. 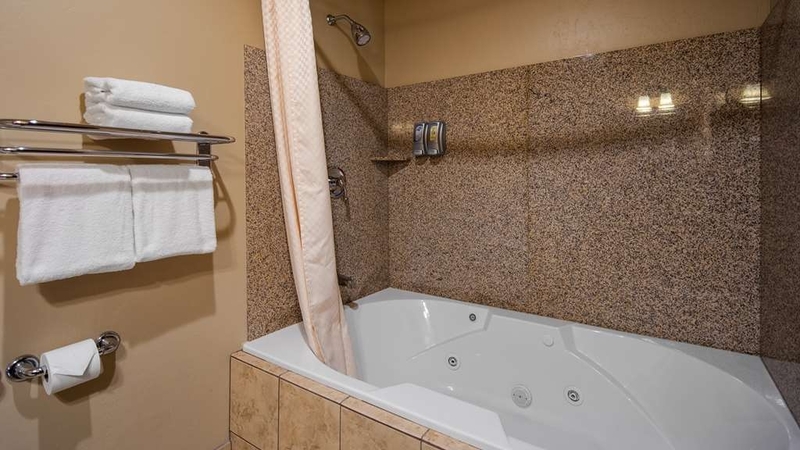 The room was truly accessible, with grab bars by the toilet, a roll-under sink, and lots of space for my husband to manuever all over in the room, even by the beds. We settled into our room, drove 3 minutes into town for dinner, and drove back and crashed. It was exactly what we needed. For all I know they have other features, but we did not need them. Thank you for all the kind words. We are happy to hear you enjoyed your stay with us. We look forward to doing business with you in the future. Thank you again for choosing to stay with us. I booked a hotel suite for 4 persons and was given a confirmation. When I went to check in they said that the room charge is for 2 persons and each additional person is an additional charge per night. Even though I had my confirmation for 4 persons. I find that a little shady. I could have booked on Expedia and would have been done but I thought I would book with the hotel directly as the cost was less (until I went to check in). Those in my party also thought not right. I have never had this before at a hotel. When you make the reservation they should state that upfront. This is a quiet place. Very sweet staff. The hotel had a little renovation going on to the upper floors and the elevator but that did not effect us one bit. The place was cozy and I might add the pool, hot tub area is super nice. Kids pool has a sliding board and it's all indoor. The options for free breakfast was perfect. We would definitely stay here again next year on our way back to The Wilderness Reserve for our elk hunt. Thank you for the kind words. Glade to hear you enjoyed your stay with us. We look forward to seeing you again next year. "Friendly clean establishment close to everything." We travel to Crandon every Labor Day Weekend. We've never been able to stay here because the inn is always full. We got lucky this year and will try to stay here every year from now on. Clean, comfortable rooms with pleasant decor, great feeling beds, decent wifi, outstanding hot breakfast and a small quaint bar on the premises. Location is perfect. 2 blocks from downtown. 2 miles from Crandon International Off Road Raceway. Staff is incredibly friendly just like all of the people in this area. Our concerns were minimal and would not stop us from returning. Thank you for staying with us. We look forward to doing business with you in the future. Sorry to hear, the mattress in the room you stayed was uncomfortable. Our hotel has new owner who just took over in the past year and is working very hard to make new updates/ improvements to the building and is working on replacing all the room mattress. We do have an order place to start replacing all the old mattress. Sorry for any inconvenience this may have caused. "Only Chain Hotel in the Area"
I typically stay in the smaller area "motels" (almost half priced compared to this Best Western), but I decided to spoil myself and stay here and give it a try. The people here are VERY friendly. My room was very quite and featured a fridge, micro and coffee maker. Breakfast was your typical hotel breakfast, nothing special, but the breakfast room was nice and offers lots of seating options. They even have a bar here (though it's not open all the time). The room was sufficiently dark at night. A few things that I didn't care for: very thin/light weight bedding. Down comforters would be better. I don't care for soap gels at the sink and in the shower. I prefer bars of soap. No conditioner is offered - you get supposed all-in-one shampoo. Rooms have showers only and no foot hold for shaving or drying your legs. 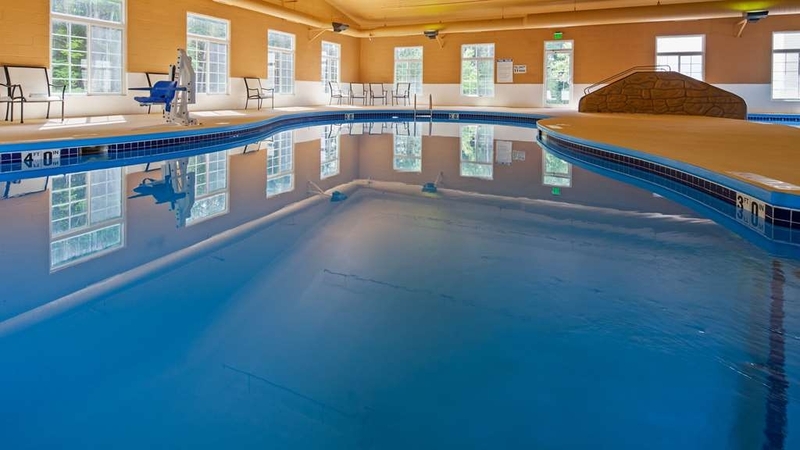 "Spacious rooms friendly staff like New facilitu"
Clean rooms nice pool splash pool and sauna. 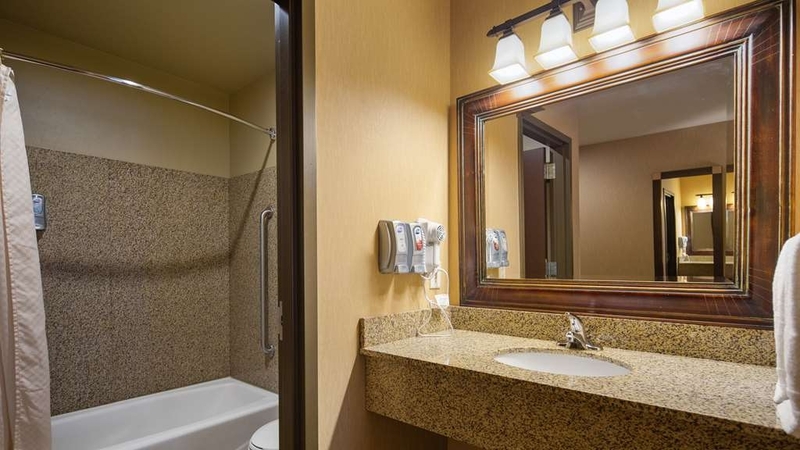 Very nice spacious room and clean.THe shower has a shampoo and soap dispenser in it. Close to downtown and there's a walking trail not far from it. The room had fridge, microwave, and television. The hotel also had a bar and continental breakfast. My kids lived the pool. I lived the hot tub. There is an outside grill and patio also. I was able to take care of my business without having to worry about my 96 year old mother, who I was traveling with. The room was set up for her ADL's and the first meal of the day was taken care of. "Good Stay, Great Staff "
Chose this property over another due to price and ratings. Even though it was a 41 min drive (on average) one way, it was worth it. Checkin was smooth and thorough. Luggage carts were readily available to assist. They actually have an elevator to reach the upper floors unlike the the chain hotel 41 miles north. Very nice lobby and a large pool area. Kiddie pool, main pool and hot tub. They also have a full bar operational until around 10pm or later if it's busy. Frozen pizza is there if one is so inclined. Pretty good actually. Room was clean and mostly quiet to which I was surprised. Breakfast was okay, I'm not usually one to partake, but did once. WiFi worked well, plenty of outlets for the tech. Air-conditioner worked well. The carpet could have been a little cleaner. Some TLC is needed in the rooms and hallway to keep it looking sharp. Overall a very good stay and I'll return. Good value even with the drive back and forth. We and another couple have stayed here numerous times over the past couple of years as we are a part of the Laona "The Cowboys are coming!" train robbery reenactment at Camp 5 Museum. This past weekend - July 20/21, 2018 was one of those weekends. The hotel is clean, staff is friendly, rooms are spacious. No complaints. Most importantly, we were called the other night by the hotel to let us know that I had inadvertently left my reenactment clothing in the room we stayed in, and they would ship it all back to me. Thank you! Those items are worth a good $175. It would have been easy for the cleaning staff/hotel staff to not do anything about it, but they took the time to contact us and then ship it all back to me. Thank you, Best Western Crandon! I truly appreciate the honesty and integrity! We will be back at the end of September for another "Train Robbery" stay. "Faith in Best Western again"
We stayed at this Best Western in June for a 3 day weekend vacation. My wife Terri and I used to only stay at Best Westerns when we first got married some 35+ years ago. Over time it seems like Best Westerns did not keep up with the times and we also had a lot of bad experiences. 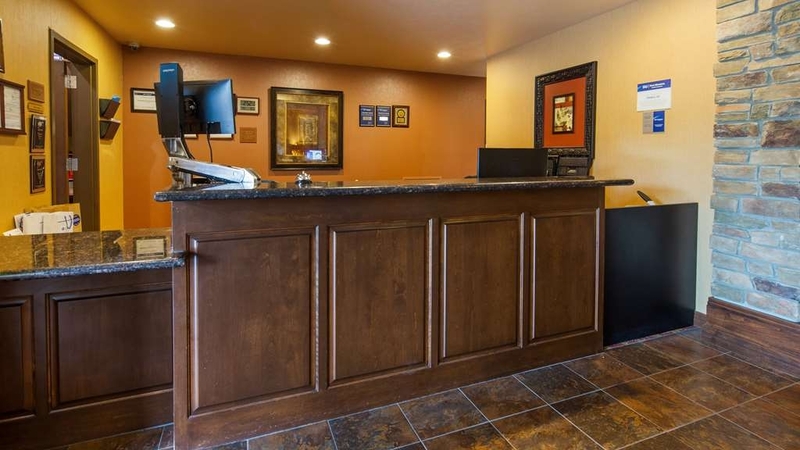 We were impressed with this Best Western on the outside but where it really matters is the inside and we had one of our best experiences in staying in a Best Western motel in a long time. We will be stayiong here again as well as highly recomending this motel to other people. The only thing that we would like to have them improve on is having plain oatmeal as a choice for breakfast. 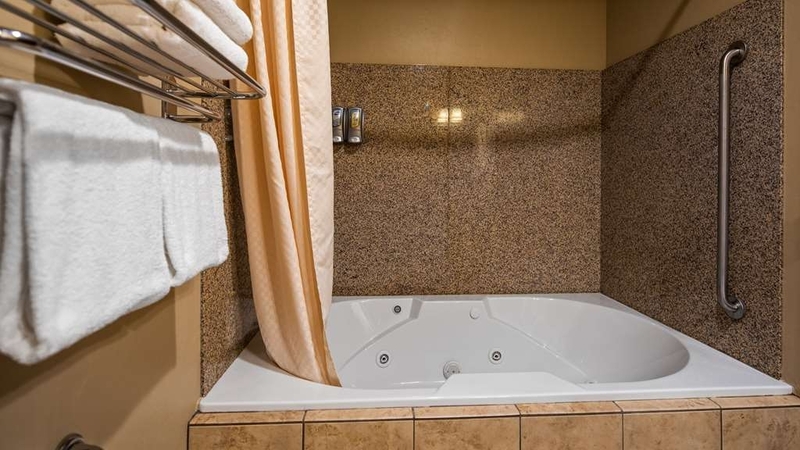 Because we were so impressed with our stay at Best Western that is why I am giving 5 stars and have nothing else negative to say about this motel. We will be staying here again for 1 night in August of 2018, and I am looking forward to staying there. Upon checking in at the hotel at 11 pm, I was informed that a new person was in training and was going to assist with checking me in the hotel. Check in was fairly quick and efficient. I was assigned to room 204 which was close to the elevator. The room was nice and spacious and clean. Around 1 am there was a constant knocking noise on the ceiling that continued on and off in 30 minute increments. After traveling from Chicago for 6 hours, this noise was very annoying and made it difficult to get any substantial sleep. I went down for the complimentary breakfast at 8:50 am and was informed that breakfast would be over at 9am. The person that checked me in never mentioned breakfast times at all. It was apparent that other guests weren't told as well because it was a steady stream of people coming down for breakfast after 9am. The attendant was nice enough to leave everything out for me a few extra minutes. Upon my check out, I explained to Amanda how noisy the room was and that I was totally unhappy that I was assigned to that room. The manager, Brian Park, came out of the office to explain to me that he knew the room was noisy because of the furnace, and they don't normally assign guests to the room because of that reason, but because I checked in so late, that was the only double queen room left. If I had been informed of this upon check in, I would have requested another room. They didn't give me the option. That is so bad for business. The manager offered a 10% discount, really 10% after I had to drive 6 hours to get here, no sleep and I have to drive another hour to get to my destination then 6 more hours to get back to Chicago? Really 10%! This is unacceptable and I told him I would be sharing my experience on other review sites and he didn't really seem concerned. All of the positive reviews of this hotel are correct. I have never given a hotel 5 stars before, but this one deserves it. I arrived at the hotel around noon in hopes of an early check in and I was not disappointed. The extremely helpful lady at the front desk said let me see what I can do for you. She came back with positive news and we moved our luggage into the room. The double queen room was in fantastic condition. No stains, dirt, or wear marks on the carpeting. The furniture looked brand new with no scratches, dent, or dings. 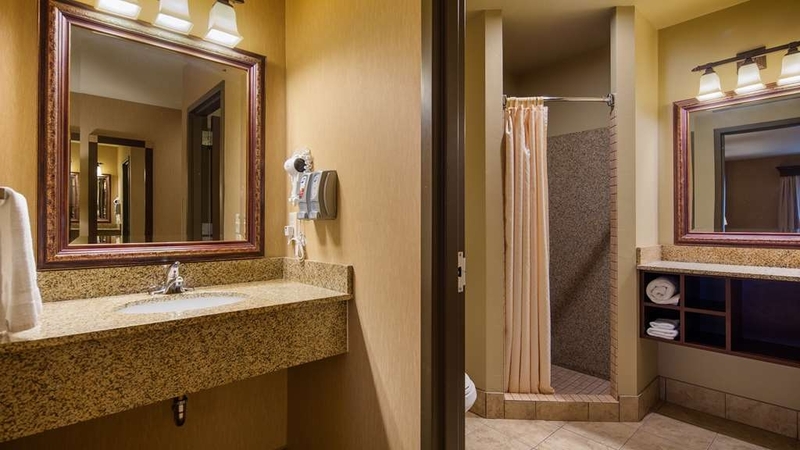 The bathroom was first rate with a extremely clean tile shower and toilet. The beds were very comfortable with clean sheets that were not even wrinkled. Even the remote was stored in a sleeve notifying me that it had been cleaned. The pool area with lighted pool was second to none in appearance and cleanliness. Hotel staff were so friendly always saying hello and goodbye every time we passed. The hot breakfast opened early and there was so much to choose from. They even had fresh cut up watermelon, strawberries, grapes, and much more. The area where we ate was kept extremely clean. I always inspect a hotel room prior to moving our luggage in. I inspect the sheets, under the bed, under chair cushions, behind toilets, heat/AC registers, etc. Great job to everyone who works at this hotel!!! I can't recall the last time I was at a hotel this high of quality and service. Very clean pool and hot tub with a 3rd zero depth wading for little ones. Outdoor patio with gas grill and tables/ chairs. Sits right on hwy 32. Only complaint is that the entrance is hidden and is misleading. Love this hotel, we have stayed here 3 years in a row for a family fishing trip. They have an extremely friendly staff who always seem to go above and beyond for us. We feel like we got to know the staff by the time we left. Great free hotel breakfast offered. Great pool and patio area. I would recommend this hotel to anyone. Thanks for another great stay, we look forward to seeing you again next year! "Diamond in the north woods"
Truly a great site for a get away. Great staff, super clean, lounge available and the place is quiet. Rooms are spacious and a great location. 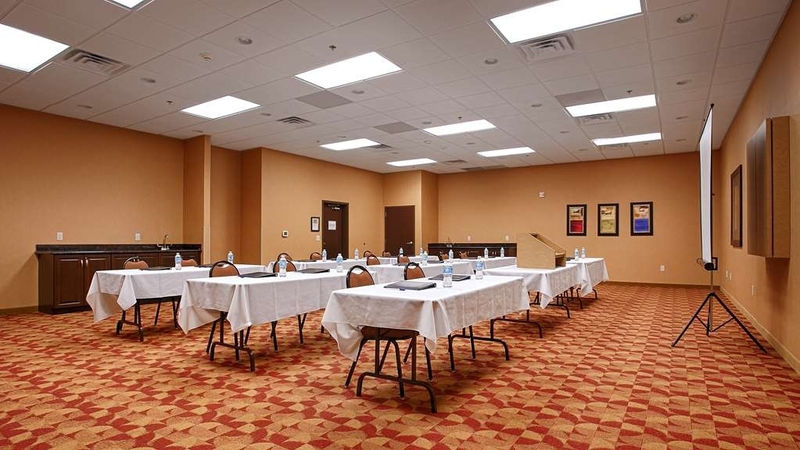 I would recommend this venue for a stay or to host a meeting as they have room s available. A great place in the north woods! Clean rooms, good breakfast, and the staff was superb. We were with a large group for a tournament over the weekend, and they helped us with our every need and question. Would highly recommend! From the professionalism of the staff, to the quality of the rooms and grounds. This is the nicest and cleanest hotel/motels I've ever stayed in! The décor and modern furnishings and upgrades give it a at home feel. The continental breakfast was top-notch as well. Best Western has my vote when it comes to my future travel needs! The pride that they have in the appearance of their hotel/motels most definitely shows. "Great Place with a Great Price"
I appreciate that there isn't much difference in the price between a suite and a normal room. I have two children who, naturally, go to bed quite a bit earlier than I do. Rather than needing to worry about keeping them awake, I can simply put them to bed in the bedroom while I stay up watching, TV, going online or reading. It's nice to have separate living space. My girls love the pool area. There is space for everyone. The breakfast is also wonderful! Hot foods in the morning are appreciated. I always stay here with my girls when we visit my parents. "Excellent facility, staff and service"
Breakfast and rooms were great. Work-out area was good. Overall very good hotel experience. Good base for hunting weekends. Breakfast staff exceeded expectations. Would recommend to friends and family. This Best Western was friendly from the time I called in the reservation till we checked out. 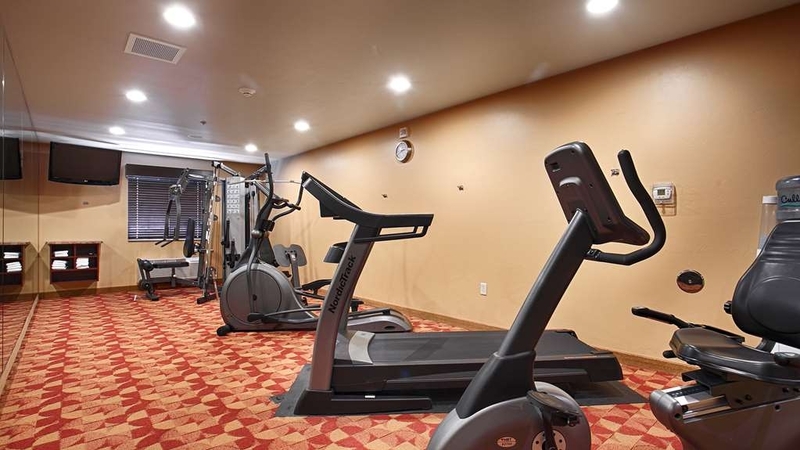 The staff was outstanding and the facility was very clean, modern, and environmentally conscious. I highly recommend this location. A definate recommended hotel to stay! Very clean and the best friendly, helpful staff we have ever encountered. They deserve all 5 stars??. Breakfast was fresh and super delish . A very clean, beautiful comfortable place. 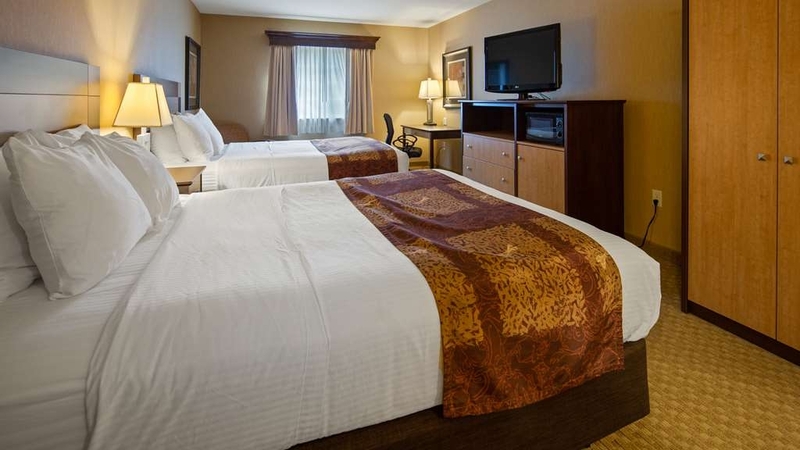 The staff was helpful and friendly and the rooms were spotless. They had a kiddie pool for the little ones and a big pool for our older kids. The breakfast spread was amazing and they always had little treats set out during the whole day. Thank you for taking time to write a review. 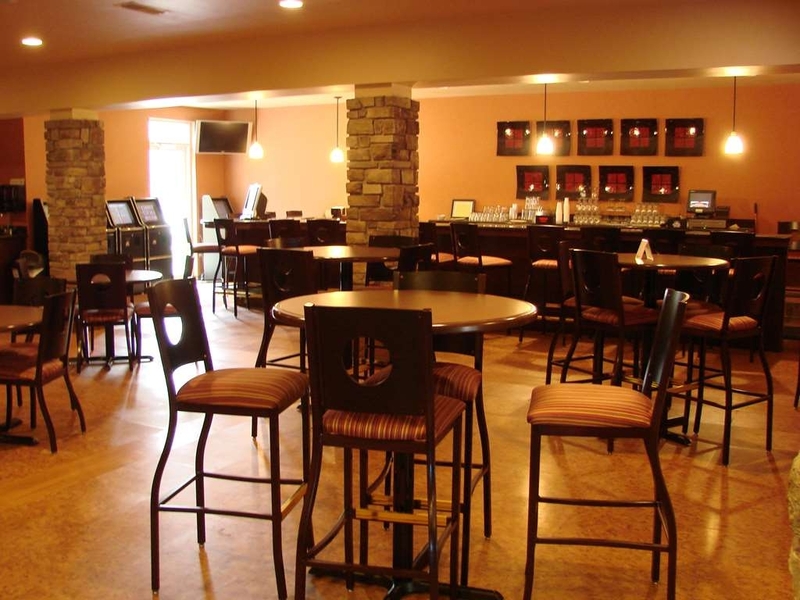 We here at Best Western Crandon are very pleased to hear that you enjoyed your stay! We hope to see you back here. Thank you again! Kudos to Cassandra and Lolly that made my stay bearable as I booked this hotel to attend the memorial service for my beloved nephew Gregory S. Papernik that had passed away in the Wisconsin River. It has been such a heartbreaking time for my family and me and these two ladies were very kind and compassionate. They both knew my nephew and had nothing but kind words for him and I truly appreciated that. The service at this location was above and beyond. Everyone I came in contract with seemed to love their job. It was a very helpful staff at all times. I wish every hotel stay was as great as this one. The parking was good and the food was awesome! The bed was very comfortable too! The room was clean and the temperature comfy. I would stay here again. I usually stay at Best Westerns because they offer the most for less! The only complaint is the room is next to the laundry area and it got a little noisy sometimes. But other than that it was a good experience! Thank you for submitting your review! We are happy to hear you had such a good stay. We look forward to your next stay! This was a very pleasant comfortable and cozy place to stay. The staff was very friendly, the first impression blew us away and everything about this hotel made us comfortable and relaxed. The breakfast bar was great as were the rooms and pool area. Thank you for submitting your review! We are happy to hear you had such a good stay. We look forward to your nest stay! Due to an unexpected vehicle issue, I was stranded at this hotel, for 5 nights instead of the expected one night. Everyone there was very nice, understanding and helpful. I feel like I have a family there and would recommend staying there if passing by that area of"Wisconsin. The hot tub sure helped me relax. Nice motel. Very nice room with double beds. Clean, well appointed, and laid out Little trouble finding the hot water setting in shower. Breakfast bar good, but confusing layout. Friendly staff. Very nice motel for a small town in the north woods. We had a great stay at this hotel for a last minute trip to crandon. The hotel room was super clean and the breakfast was awesome. Cassandra worked tirelessly to keep the food stocked and hot and the rafting area clean! We had a great stay! 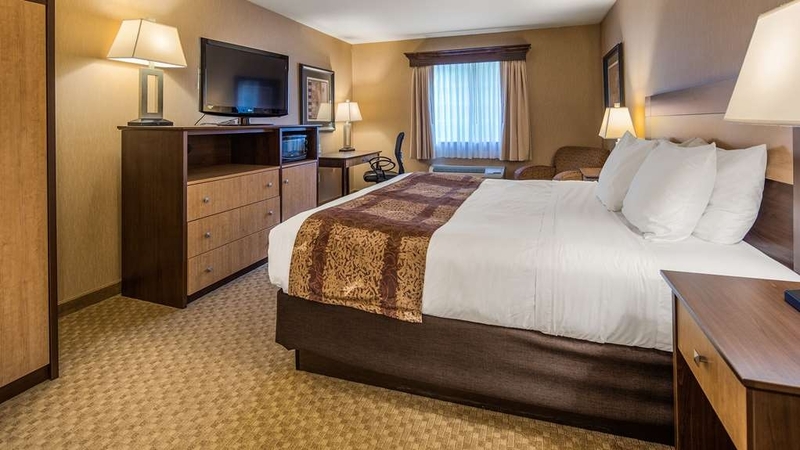 Crandon's Best Western is a wonderful place to stay! The room was very clean and comfortable. The bed was very comfortable.The breakfast had a very nice selection of items, sure to please everyone!We had a drink from the bar and sat out on the patio. Very nice! Clean Rooms, Lobby, and Eating Area. Very good Breakfast. Very Friendly Staff. Excellent location for access to ATV / Snowmobile trails. I would recommend this place to anyone looking to stay in the Crandon Area. Everything from the beginning walk in to the check out was a professonal experience. The room was clean and smelled fresh. Swimming pool area was clean and spotless. The new BW will see me again. See you soon. Great out of the way hotel, Newish with large pool and a bar on site. Super clean and comfortable. Attentive staff. I will be back. Area could use some better restaurants. I just got to find a good one. Came up for a family reunion and stayed at the Best Western. Wonderful staff very clean facility. They really keep the place looking nice. rooms very nice with very comfortable beds. Would stay there again on my next trip up North. Excellent breakfast – including strawberry waffles and fresh fruit!! The staff was very friendly and courteous. :) Would definitely recommend this hotel and will stay there any time I am in the neighborhood again! Thank you for submitting your review! We are glad you enjoyed your stay and look forward to seeing you again in the future. "Great Experience for Great Value"
For a basic hotel at a great value, this hotel is excellent. Staff is courteous, helpful and always present. Everything is clean. Complimentary breakfast had great hot and cold selections. The baby pool with slide is a great amenity for those travelling with small children. I would love to give this pretty hotel a 5 star review, but Stephanie, the snotty receptionist keeps that from happening. I arrived, as a member of the armed forces, having come all the way from overseas. I was so tired and decided to stop, based on the look of the place. I approached the front desk, to ask for a room, and was greeted by Miss Stephanie, who I noticed had her phone on, on speaker, which means someone was listening to our conversation. She asked if I had a reservation, I said, "...no." She sighed and said, all they had available was a suite with two queens. I told her I would take it. She then said, "....but I haven't told you how much, it's $149, plus tax." I asked if they gave a military discount and she instantly became hostile stating " NOT THIS weekend!" I asked what made this weekend different from others. She stated there was a Jeep event in town. Then I offered my credit card, which is my military credit/debit card. She once again seemed angry stating I had to sign a form because the card had the word DEBIT on it. I told her it's a credit card. She said it didn't matter, if the card said debit anywhere on it funds were taken immediately, instead of checkout. A little antiquated in my thinking, but whatever. Then she hatefully asked for my Drivers license. WHY? Why do you have to show a drivers license? What if I didn't drive? Lots of people don't, and I have been overseas for the last 9 years. So I offered her my military ID. That seemed to anger her. She said, "....well I have to have an address!" I told her I don't currently have an address, I was in transition. Many military people don't always have addresses until they get to a new assignment. She was firm in an address, so I gave her my grandparents address. GOOD GRIEF! While this was going on, another couple arrived and she became impatient to rid me of her space and rattled off something about wifi, dismissing me. All the while her phone was still on speaker. I took my key and left. After I went to my room, I came back downstairs and Ms. Stephanie was speaking with someone in the back room and discussing ME in very unflattering terms. So while the hotel was nice, and the room very pretty, SHE was quite ugly in her attitude, making this tired Marine, having served 22 years, very very unhappy. My take on this hotels policy: stick it to the military, because some people racing Jeeps came to town? What if some of those Jeep people were military??? Shame on Ms. Stephanie and Best Western for this treatment. Stephanie Z, Manager at Best Western Crandon Inn & Suites, responded to this review Dear sir, I first want to deeply apologize for my behavior. I had no idea i was coming off so rude. So yes, shame on me. I feel awful hearing you had such a terrible experience. Please, allow me to try to clear some things up. I did have my phone on speaker, and for that I am sorry. I was on hold with Best Western Help Desk for about 20 minuets, there wasn't anybody listening. But, I agree, I should have ended the call. And the military discount is not available for any weekend, not just a specific weekend. We have everybody sign the Debit Card Advisory. I know it is frustrating, but imagine how angry guests would be if we didn't inform them on the procedure. We ask for the I.D. and credit card for your security. We cannot charge someones credit card, just because they say it's theirs. I would much rather this process, than to charge a stolen card. With the address, I cannot just skip over that information. Our system will not allow us to continue a reservation without an address. As for you hearing me discuss you with another person, I believe you must have heard wrong. I can promise you, I was not discussing you. I know that did not happen because i didn't remember you until reading this review. So, at the time of your check-in I didn't see any problems with our transaction to be upset about. Again, I am so sorry that I personally ruined your experience here with us. If there is anything I can do to make this up to you, please let me know. I feel awful and ashamed by your review. 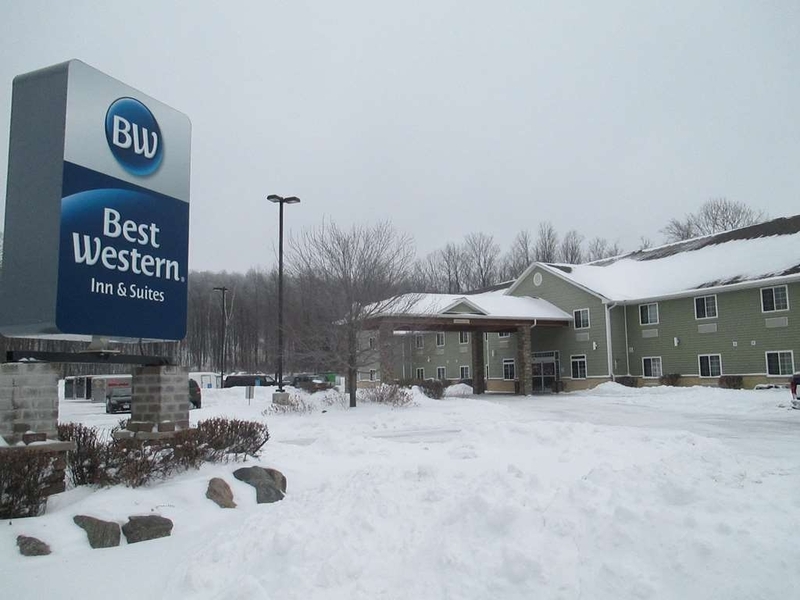 We have been staying in the Best Western in Crandon for the last 3 years. Our daughter and husband have a cottage up there and some of the family stays at the Best Western. We have always been satisfied with the rooms, breakfast, and pool. The rooms are large and their suites are great for a family with small children. Thank you for submitting your review. We are glad you enjoyed your stay with us. We hope to be able to accommodate you again soon! Great place to stop. Great motorcycle riding near by. Enjoyed the stay. The rooms were lole brand new. The breakfastwas very nice. We would definitely recommend stopping if in the area. Very relaxing atmosphere. Thank you, for submitting your review! I am happy to hear that you enjoyed your stay with us and hope that you will return again soon. Have an excellent day! We visit Crandon, Wiscounsin every fourth of July. We have always had a god stay. Clean rooms and enjoyable breakfast. All staff members are very friendly and help full. You can enjoy the Fourth of July fireworks from the motel. Thank you, so much for submitting your review! It is greatly appreciated and we're very happy to hear you enjoyed your stay! This hotel is a very nice hotel for the area. Whether traveling for business or pleasure you can't go wrong here. 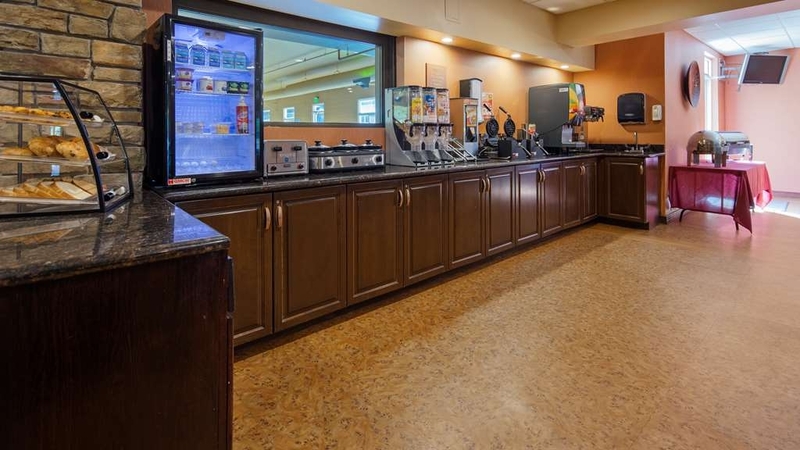 It's close to town for finding dinner and has all the amenities you need in a hotel. Very good hot breakfast selections and pleasant staff. Thank you, so much for your review! We are happy to hear that you enjoyed your stay with us! We hope to have you as our guest again soon! Have a great day! Let me start off by saying we were in town for a funeral, so we weren't in the best of spirits when we arrived. After over 9 hours in the car, we were tired and ready for a couple drinks and a good night's sleep. When we checked in, Stephanie informed us that the bar was closed, but said if we wanted to have a few drinks, she would open it up for us. She was a very attentive bartender, even though she was working the front desk. She came to check on us often, and was extremely friendly and personable. She opened the bar up for us the next day after the services as well. Overall, she made our trip much more enjoyable. The hotel is immaculate, both inside and out. My only criticism is that the beds are not very comfortable, and the pillows are awful. What's with the tiny square puffs of air that are considered a pillow? I love this hotel! Every stay is perfect. I travel a lot and this is truly my favorite place to stay. The staff are wonderful and they are staffed 24/7. The beds are amazing -- I sleep like a baby there. The weekend breakfast is wonderful. Anytime I've had a problem (and let's face it, stuff does come up) the staff jumps on it. They are always friend, courteous, and helpful. I wish I came to this area of the state more than 3 times a year--because I love staying at this hotel. Dear Beth Drake, Thank you for completing the survey regarding your recent stay at our property. Your business is very important to us and we value your feedback. We hope you will come back and see us again soon. If I can be of assistance in the future, please don't hesitate to contact me at 715-478-4000. Thank you again. We appreciate your loyalty to our brand. "Clean, Nice, Great Customer Service"
This is a nice, clean, newer facility. The breakfast included eggs, biscuits, sausage, gravy, and waffles. Coffee is available at all times of the day. The bed was very comfortable, and the facility is located in a quiet location. The staff at the facility is really great, offering very personal attention. Once I got home, I realized I had left some things in one of the drawers in the room. I called the hotel and the receptionist went to the room with me still on the phone. I directed her to where the items were. She found them and mailed them to me. I got them three days later...I really appreciate her efforts!! I was a little concerned when I had to find a hotel in the middle of what I might call "no where" but I was pleasantly humbled when I found this beautiful little pearl! Thank you for the great stay!!! This is the third time visiting this hotel in Crandon. As always, the room was very clean and comfortable. I didn't feel like I needed to wear slippers for fear of what might be in the carpeting. This time we had our grandson with us and we went swimming with him. The pool area is very nice and the pool was actually warm! Very nice!!! "Crandon "the Best" Best Western"
I travel a lot for business and when I am able to stay at the Crandon Best Western, I take advantage of it. The Hotel's staff is very friendly and every person I meet at the desk or in the hallways, offers a warm greeting with a smile. 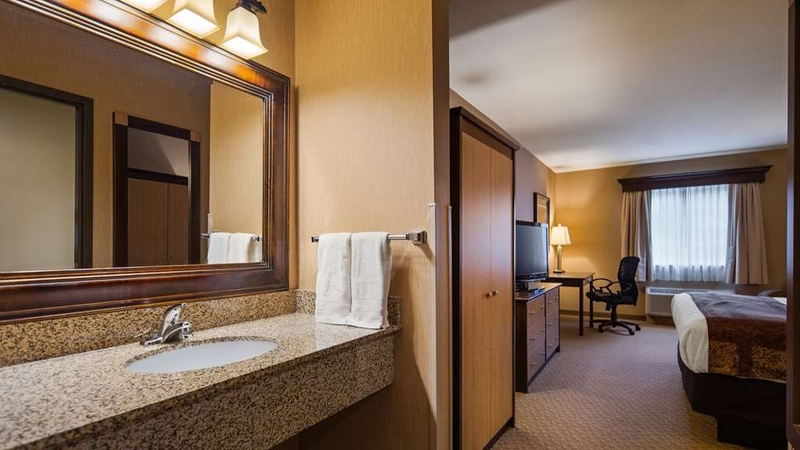 If only all my travels could end up at the Crandon Best Western; that would be very nice. The staff always looks for an upgrade offers express checkout. This is a top rated place to stay. All staff and the manager were professional, friendly, accommodating and made our stay enjoyable. Room was very nice and clean (we stayed in a 2 queen bed-suite). Beds were very comfortable. The pool area is fantastic. 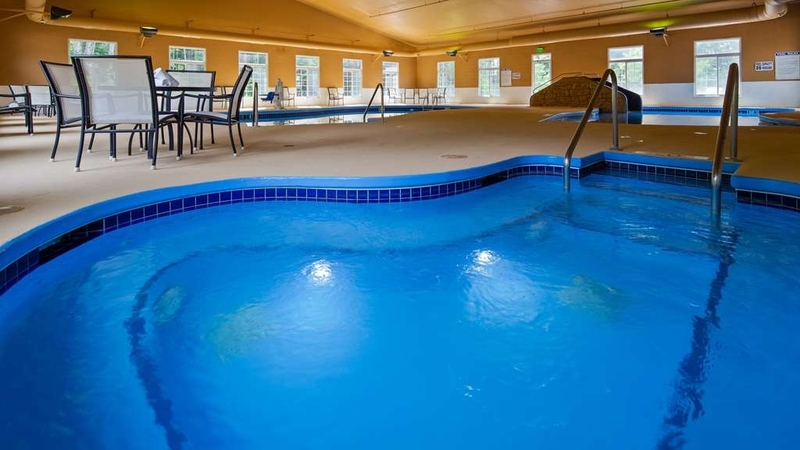 There is a small pool for small children as well as a large one and hot tub. The kids loved the pool and the hot tub was great. Water temperature in both pools were warm too. We all enjoyed eating the breakfast. Nice variety of hot and cold items. The day we checked out we had to leave at 6am, before breakfast was available. They had breakfast to go bags (water, fruit, and a protein bar). A very nice amenity. We will definitely stay here again when in the area. This is a nice hotel. Noise in the room is slightly louder than my liking but my room was next to the lobby. Breakfast is just ok but better than some. They do have a waffle maker and some other hot breakfast items so more than just a continental breakfast. Staff is very friendly and accommodating. Our customer service was great. Rooms are always clean and beds are cmfortable. Check in and out is always easy. Pool is great with smaller pool for children. Bar has great prices and we'll stocked. Have stayed many times, always a good experience. Stayed there in mid-March when there was little else going on in the area. Hotel offered good reliable quality. Very limited selection of alternatives in the area, almost no other chains within 30 miles. This is such a nice place to stay. The rooms and whole hotel are clean and neat. The staff is friendly. The hotel is located in a nice quiet area. The beds are very comfortable. I don't know what else you could ask for in a hotel. Overall very pleased with service and staff. The amenities offered were to my expectation. The staff asked how everything was an if they can do anything to make my stay more comfortable. Very pleased and would book again. "Gray accommodations. We'll be back." Spent the weekend here with our Snowmobile Club. The hotel and staff were great. Good breakfast, comfy beds, and very friendly and helpful staff. Also awesome pizzas anytime of the day or night. I'm sure we'll be back. Quiet, comfortable, pleasant staff, clean, great internet service... couldn't ask for more. Was here at last minute and treated as though I was the most important person they saw today. Will definitely stay again when I am up in this area! "Worth the Drive, Especially in Autumn!" We decided to take an alternative route on our long trip east across Minnesota and Wisconsin to southeastern Michigan. This is an excellent, quiet stopover, almost a retreat, especially with the beautiful Autumn colours all around! Helpful staff, nice bed and linens, pretty good hot breakfast included! Also! The indoor pool was sublimely warm enough to swim in!! Great location very near and with easy access to the Wolf River ATV trail. The parking lot is also set up to accommodate vehicles with trailers. Beautiful spacious room with a very comfortable bed. As good a hot breakfast as I've found anywhere. We didn't use the pools and hot tub, but they were getting a lot of use from others and looked like a really nice amenity. We enjoyed our stay immensely. The pictures on the website do not do it justice. The hotel was very clean, and modern. Hotel staff were friendly and helpful. Downtown area had nice family restaurants. Pool and whirlpool area was inviting. "Kudos to a well managed hotel!" I had no clue this hotel is a decade in age,miss so well maintained it seemed new. Beautiful location. Easy to access. Staff is more than accommodating, very helpful and friendly. Every one of them. Breakfast had good variety and was typical but hot and hearty for a free breakfast. Nice, well appointed rooms. After sleeping in a king, maybe it's time to think about new beds. Otherwise, exceeded expectations. "I give it a five star." The best in hotels ever. Would come again. We stayed here a number of years ago with his wife and young son. At the time we booked a suite with a privacy door to the sofabeded room. It was great.This time if he came we would not have been able to fit six. But thats okay. It was great as last times. 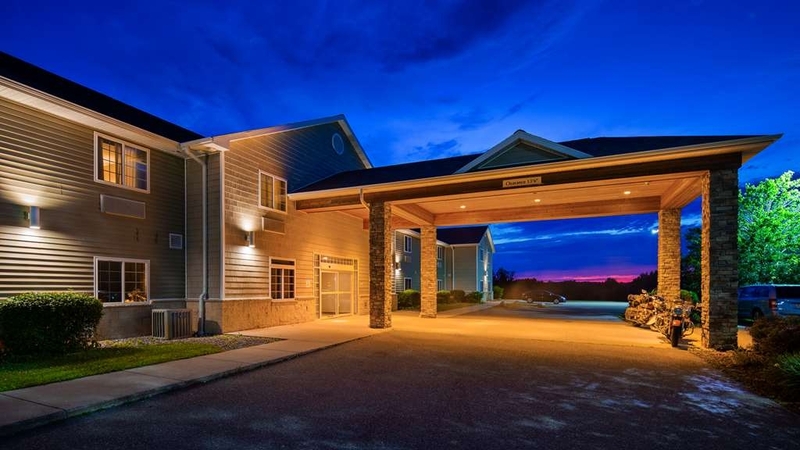 "Very Nice End of Summer Stay with Just a Few Issues"
I recently stayed one night at the Best Western in Crandon, WI on a Friday night when in the area for a brief end-of-summer getaway to see a friend of mine who lives in Crandon. I knew going into this that it would be kind of a quick trip because a meeting back at home on Thursday night prevented me from leaving until Friday morning, and I also needed to be back home by Saturday night for another engagement. I thought this Best Western was a very nice property, but I had to lower to 4 stars because of a few minor issues. I arrived to Crandon by about 1:45 on Friday afternoon and my friend would not be getting out of work until 3:30. I decided to try checking in at that early hour, figuring I could find something else to do for a while if they couldn't check me in until the 3:00 time. The front desk worker was very friendly and personable, and she told me that they would have no problem checking me in early since most of the rooms had already been cleaned and serviced! I was glad that I could save some time by taking in my luggage and getting settled in early so that I could meet up with my friend right after he got out of work! The check-in process was quick and efficient here, and the front desk worker informed me of all the amenities offered. I had a standard room with 2 queen beds on the 2nd floor. When I had made the reservation, they were out of standard rooms with a king bed, so I settled for the 2 queens for about the same rate. There are only 2 floors here, but they do have an elevator, which was convenient when taking luggage in and out. My room was also one of the first rooms off of the elevator, so it was easy to get to. It faced the back and not the highway, so it was pretty quiet. My room was very nice, and I felt it was very spacious for it being a standard room. It had an additional sitting area on the far side of the room beyond the 2 beds, and it seemed like there was a lot of space. The room was cleaned nicely, and I enjoyed the Andes candies that were left on the bedside table! 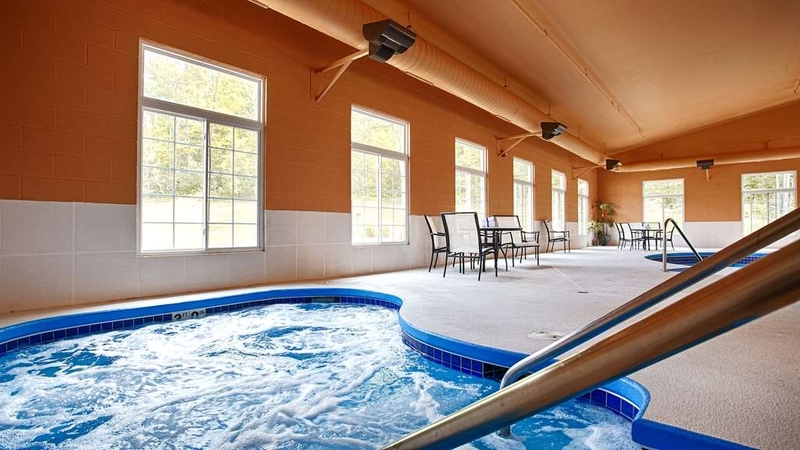 I relaxed in the room for a while and used the indoor pool and whirlpool area for a little bit before meeting up with my friend. I enjoyed the nice variety of cable TV stations offered here. The pool area was very nice, and it consists of a regular swimming pool, an extensive kiddie pool with kiddie slides, and a large hot tub. I enjoyed relaxing in the hot tub, which was nice and hot with the jets in working order, and the pool was refreshing to swim in as well. With it being only 2:30 or so, I expected to get the area to myself, but I did have to share it with a few other families when I was down. The area is spacious enough that I was not bothered by these other guests. I left around 4:00 to spend some time with my friend, and we went out to dinner in town and then tried our luck at Mole Lake Casino! 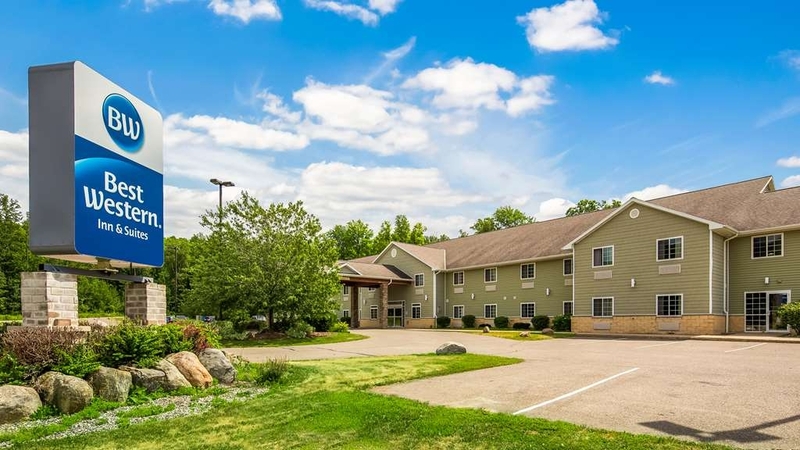 This hotel is conveniently located on US 8/WIS 32 and is within minutes of downtown Crandon. The casino was about a 10-minute drive out of town on WIS 55. I was gone until about 11:30 in the evening, but I felt safe upon returning since the parking lot had adequate lighting. I turned in for the night a little after Midnight. My sleep quality here was just so-so. The bed was nice and comfortable, but I was woken up 3 times during the night by some sort of a clicking noise, at about 2:00, 3:30, and 4:30. The noise almost sounded like a car door slamming in 20- to 30-second intervals, but it was something inside the hotel, I think. This kept me awake 10-15 minutes each time I was woken up by it. I am puzzled by what would have been making a noise like this, but I did wake up at 7:30 in the morning feeling not fully rested, unfortunately. I made my way to continental breakfast in the bar area by about 7:45. It was very busy at breakfast when I got down there, which surprised me with it being so early. In fact, I got the last open table or else I would have had to take food back to my room to eat. The breakfast was very good, and it had a great variety. I especially enjoyed the omelets with cheese, ham, and peppers, as well as the biscuits, muffins, and yogurt parfaits that were made up in the refrigerator. There were several hot and cold choices on this breakfast. Oddly enough, by a little after 8:00, I was one of the only guests at breakfast; it really cleared out fast after I got down there. I spent a little more time in the pool and hot tub after breakfast and again enjoyed using that area. I took a shower after returning from the pool, and I was shocked to open the shower curtain and find a used wash cloth and soap from the previous guest in the shower, as well as several hairs in the tub. The tub/shower was the only area of the room that was not cleaned well, but I factored this in when giving 4 stars. I needed to make a call before I departed and would need a pen and paper pad to jot something down, but there was no pen/paper in the room and I needed to go ask the front desk. They gladly supplied me with pen/paper, but I was surprised to not see pen/paper by my phone in the room. I needed to be on my way by about 9:30 on Saturday morning, so I was ready to go and checking out shortly before then. Whoever was at the desk when I wanted to check out had no idea what to do (?? ), and she just got up and went to the back room. I had to stand and wait for another clerk to come back to the desk and take my keys. I found that kind of strange, but she was friendly and asked how my stay was. I did enjoy staying here, and this was overall a nice choice for lodging in Crandon, where there are limited choices. I would return and recommend. I am also excited about receiving a $50 Best Western gift card in the near future because I stayed 2 separate times at a Best Western this summer! I am planning to use it for a trip to WI Dells later in the fall. This was a nice stay, but the few flukes I encountered here made me drop to 4 stars. "[email protected]@K!! THE BEST Best Western"
EVERYTHING was delightful! I have stayed in a lot of Best Westerns all over the US and I would rate this one as tied for the nicest one I've every stayed in. It is tied with the one outside the Grand Canyon and actually I kinda like this one better because it is smaller obviously due to the fact that the other one is the Grand Canyon...kinda tough to compete with that...but I was so pleased with everything; the room, the service, the food, the pool was wonderful, internet was quick and easy and I have never seen such a lovely patio with a grill! I think you should market this site as being a lovely location for a small intimate wedding. It would be perfect. The grounds were meticulous. Smoking area was well-kept. I can't say enough about this site!!! This was a great place to stay when visiting family in the area. The hotel was clean, beds were super comfortable, and the breakfast was good. This was in a great, convenient location. Close to the family we were visiting. Supermarket not too far away and great restaurant in the downtown area. We would definitely stay there again. Traveled to Crandon for a family reunion in nearby Wabeno, WI. Overall, a very good experience. Hotel was very well maintained and clean, good staff. Only one elevator, but never needed to wait for it. Location was excellent, about one-half mile from the downtown area. Express checkout with no hassle, received final bill via e-mail. Definitely would stay here again. 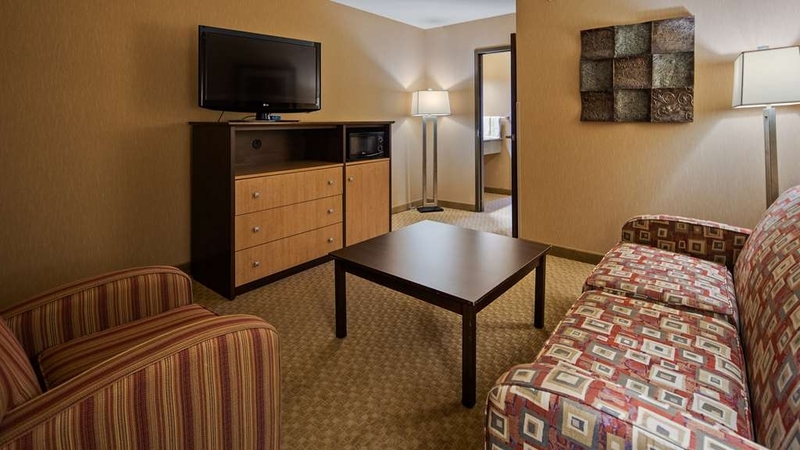 The Crandon, WI Best Western is a fantastic bargain for the price! Very new and modern rooms. My King bed room had ample space for me and my belongings. The furniture, counters, shower and carpet were all very clean and welcoming. Having an elevator was nice. The breakfast was the usual fare, but present4d very nicely. Friendly staff for housekeeping and front desk. The bar area was nice for late afternoon relaxing The swimming pools are the nicest I've experienced in a long time. A very pleasant stay indeed! One night turned into 3 nights stay, What a nice clean place, plans where to stay one night then travel on to the next place "where ever that might be". The room we had was a queen suite..... Great room, one room with two beds and another with a easy chair and couch. Both had nice flat screen TVs. The beds where what did !!!!! !We slept great, OMG very comfy beds. We have stayed a lot of places and usually travel with an air bed because of such hard beds we have encountered, but not here. Wow-great sleeping, it was all around a wonderful stay, nice continental breakfast, nice pool and hot tub and pleasant staff. Nice updated décor throughout; friendly staff at front desk. Rooms had great looking and comfortable furnishings; having access to a microwave and refrigerator was very handy. Easy to find location with lots of parking available close to entrance. "Having extra room a bonus"
Enjoyed our stay at this beautiful hotel. Very clean, nicely decorated and wonderful staff. Nice to have separate room to relax in. Good breakfast in nice surroundings. Very impressed with this Hotel. We were dropping our son off at Tesomas Boy Scout camp the next morning and needed a place close to Rhinelander. I asked about a nice, family friendly dinner place besides McDonalds and pizza. The front desk clerk recommended Main Street Ed's which had a fantastic chicken dinner deal that night! Thank you for that recommendation and a wonderful stay!! This is the best place to stay in the Crandon area. The rooms are very clean and comfortable and having a refrigerator in the room was really convenient. The friendly staff are extremely helpful and accommodating. We used the outdoor patio for a family and friends gathering and it was a perfect setting I would encourage anyone looking for a hotel in Crandon to stay here. The hotel is very clean, which is very important to me. I also like the hot breakfast bar. But the bed is kinda too soft for me. The A/C is loud, too. I am a light sleeper, so it did bother me. Overall, nice stay. "Great place to stay in Crandon"
We have stayed here the last three years when visiting our daughter at their cottage. We have 19 people, so only two families can stay at the cottage and the rest at the Best Western. We have been very happy with our rooms, swimming pool, staff, etc. The rooms are nice size and comfortable. Stayed at this motel with my daughter while on a visit in the area, and was well satisfied with the room and the service from the staff. Would highly recommend this motel. The location was to our liking, very quite, and very comfortable. I've stayed at this hotel many times and always have an excellent stay. We always get a good night sleep and a little breakfast to start the day. The hotel staff are always on the ball and helpful. We stay here at least twice a year for pow wow and always enjoy or stay. This is a very nice hotel, the decor is awesome, love the pool area and hot tub. The breakfast is always great and the staff is very friendly. Great location for us, will stay again. We would recommend to anyone coming to the area. The hotel was very clean. Very nice employees. The usual breakfast options for chain hotels. The beds are firm and comfortable. The pillows are large, so if you care for a smaller pillow, bring your own. Available electrical outlets near the beds is minimal. Lovely patio with beautiful woods view. We used this hotel while visiting my mom in the care center. Thanks for caring for us and showing you cared. The room was pleasant and the staff great. We did need to change the room because the bed was not comfortable and needed to be replaced. I have stayed in this hotel a few times this month and have been happy. It is well located and fairly new. It is clean with a good Wi-Fi. The breakfast is adequate though not exceptional. The room is clean and service is good though there are times when no one was at the desk. We have stayed at many "pet friendly" hotels and it always seems that most places leave the LEAST nicest rooms for pet rooms. Not here! 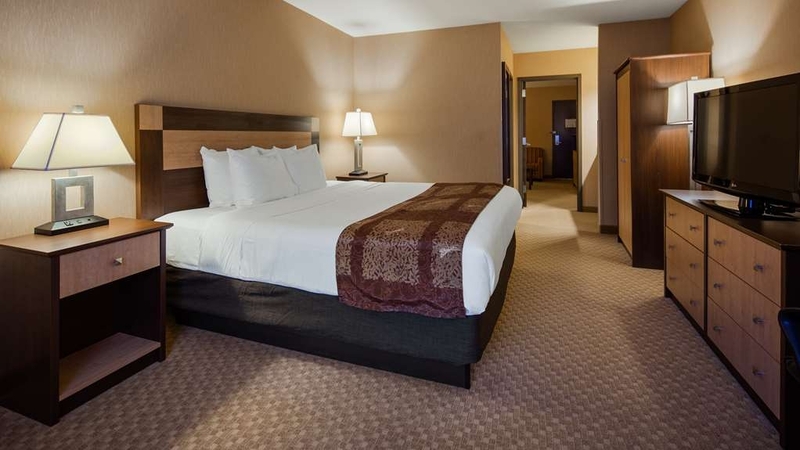 This room was top notch...very clean and nice and as always excellent service. We will always drive that extra mile on our road trips to stay here. Megan was very friendly and personable when taking our reservation! Thanks for another great stay!! What a great experience! I was blown away at the cleanliness; you could eat off the floor! The pool was so much fun for our 4, 6, and 7 year olds. The little slide was an added bonus! The continental breakfast was perfect. It offered a great selection of anything you could want. Hats off Crandon! Great staff, clean room, fun pool; I highly recommend your hotel. 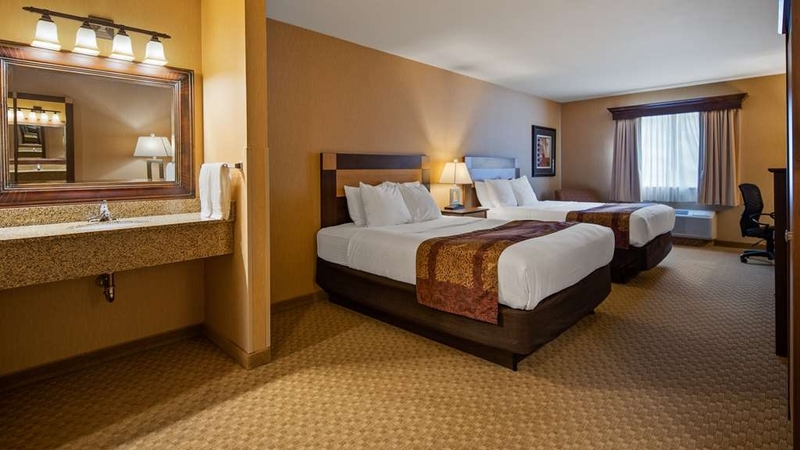 This is a very clean hotel and is able to accommodate a large family with a pet! Very nice pool area in a beautiful wooded setting. This is truly a great value and a rare find in this part of the state. We love staying at your hotel! It is decorated so tastefully and the staff is wonderful. 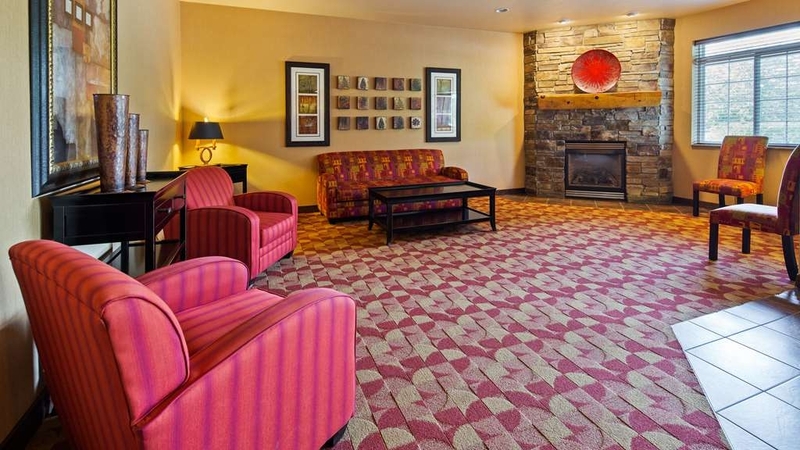 We also like the lounge area and continental breakfast.We have stayed a number of times. It is a great location too. Everyone that works at this hotel is wonderful. Very pleasant stay. Beds were comfortable and rooms were very clean. The receptionists were very accommodating and flexible. I would highly recommend this Hotel for business or pleasure. The staff were helpful and friendly. Hotel was clean, quiet, comfortable and relaxing. Breakfast was good. It was one of the most pleasant stays I've had within the past year. I would stay here again. We stayed here for one night in January, and were quite impressed. The staff was wonderful - very helpful and efficient. Our room was clean and well appointed. We had everything we needed. The bed had a "pillow-top" which we don't care for, but was fine otherwise. The breakfast was really nice. It had much more that we had expected, and included fresh fruit (blueberries, raspberries, blackberries, grapes, strawberries, apples), waffles, scrambled eggs, hard-boiled eggs, bacon, biscuits & gravy, bagels, toast, cereal, oatmeal, muffins, coffee and juices. It was well stocked and the attendant watched it . The only "complaint" was that their countertop space is a little small for all the items they offered, so there were lines which made it hard to get to all the items. But we managed. Overall, I would highly recommend this hotel if you're in the Crandon area. Stephanie at the front desk was very friendly and helpful. My husband and i didn't have to wait very long to check in. She had given us directions to the closest movie theater. When we got back she actually asked how it was. I thought that was nice. We had an enjoyable stay here! The only complaint I have is that the bed was way too soft. Other than that, everything was great! 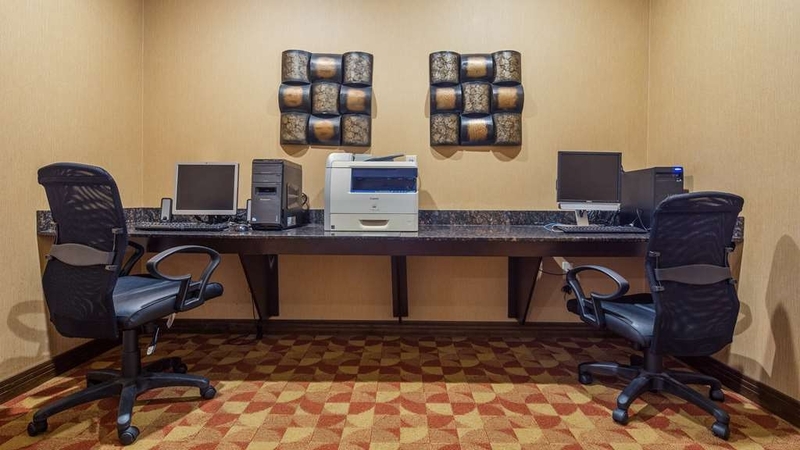 The staff was very pleasant, the room was clean and the continental breakfast was good and full. I would definitely stay again! This was a very nice hotel, apparently it is relatively new so that should be expected. The breakfast not all that great but they had good coffee--much better than other hotels. The have frozen pizza available at the bar but it was not very good and over-priced. 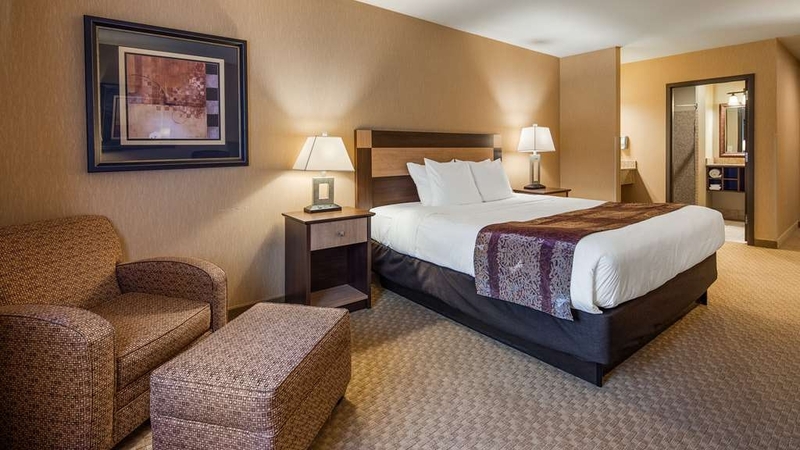 The staff was friendly and there rooms were very nice especially for an area like Crandon, WI. Very nice and clean hotel. I've stayed here twice. Some staff are friendly and helpful. Some are not helpful and do as little as possible for you. 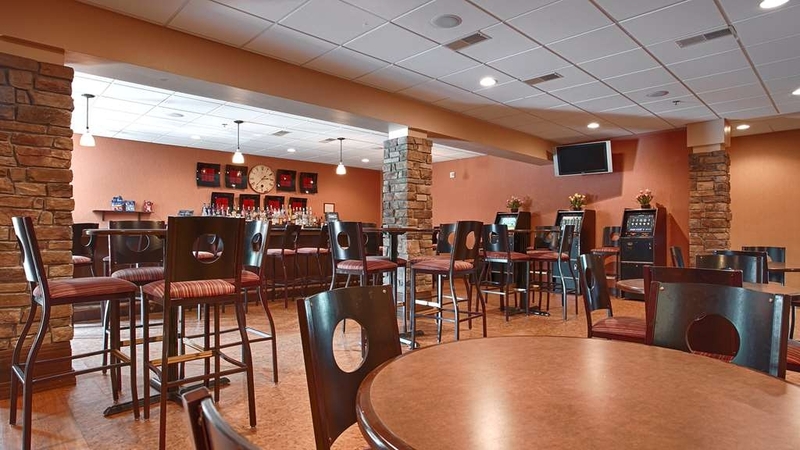 They have a nice bar area, not really a "bar" but if you don't feel like driving it's a good place to have a nightcap. The 2nd time I stayed the heater was not working in the pool, which after a long drive we were looking forward to. The outdoor area is nice. They have a grill and tables on a patio. The rooms are clean and well kept. The price is higher than I would like, they don't offer any discounts or specials, which is too bad. The morning breakfast has much to offer, a great deal. The fall colors were beautiful. The hotel was clean and staff friendly. The large pool heater was broken so were unable to use it unless you wanted to freeze your behind. The kiddie pool and hot tub were okay though. 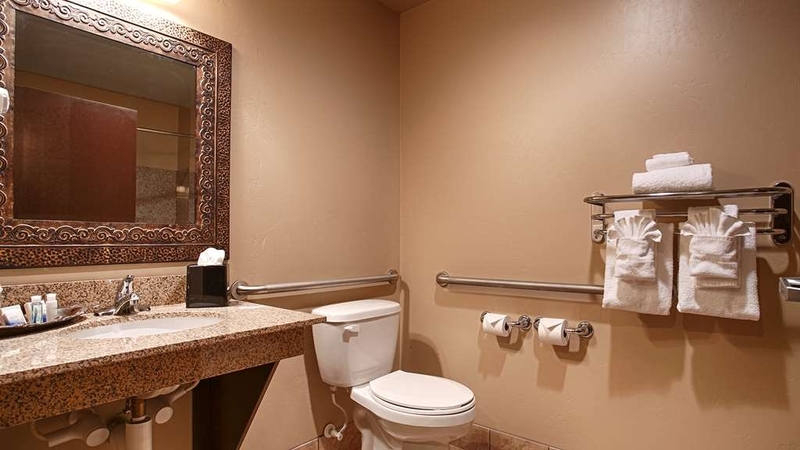 We are very pleased and delighted that this small town offers such a quality motel. Pleasant check-in and check out. 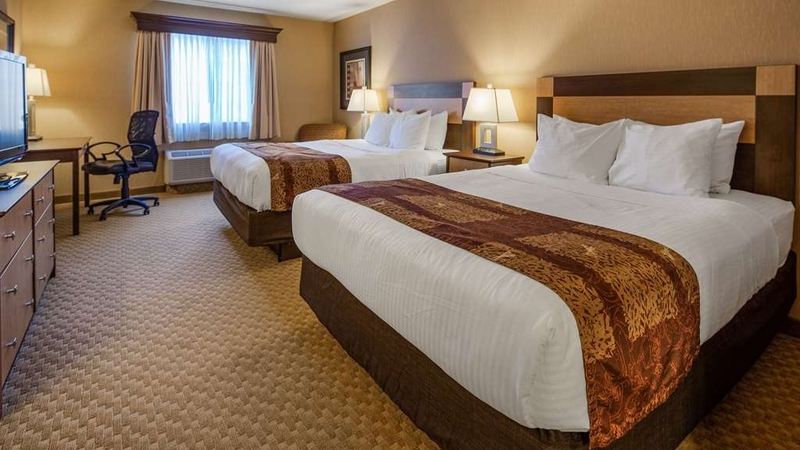 Spacious clean room with two very comfortable queen beds, Four pillows per bed. Quiet air conditioning. Quiet sleeping. Nice morning breakfast. Very ample parking. We stay at different hotels on our vacations and this one was excellent. Our room had a window looking out onto beautiful green grass and colored trees. It was so pretty. The room was big and bright and the internet access was fast. The breakfast could have been better but was OK. I would like to see hotels go more for fruit on the menu and less heavy food like scrambled eggs, bacon, sausage. (personal preference) Every person we encountered on our stay was very nice, professional and caring. I would recommend this hotel to all who enjoy a quiet nice hotel. The pool area was large, spacious, bright and clean. Even though we didn't swim we would have if we would have had the time. Clean and quiet ! Everything was great with the location and extras. Only complaint is there needs to be two working continental breakfast to stock and refill when the hotel is full. We didn't get breakfast on Saturday, and we were down there at 8:30. We waited but there was to many people and supply was not restocked timely. We have stayed here several times. The motel is always clean and neat. the beds have been very comfortable. The pool is always clean and maintained. The internet was fast and easy to connect. Staff is friendly and cheerful. The breakfast bar is typical but good. Great place to stay on our mid week trip in area. Staff was friendly, helpful and enjoyable to visit with! Clean room, and warm breakfast. Would recommend this place to anyone in this vicinity of North woods Wisconsin. "Great Gem in northern Wisconsin"
had to travel to Crandon on short notice for a funeral; spent only one night at this hotel in Crandon..but found a friendly staff, great rooms, good breakfast, small lounge to relax in in the evening, saw families enjoying the beautiful and clean pool area..would definitely recommend this hotel to anyone.